The Voice had some tough work to do on Tuesday night (December 4), as it looked to narrow its group of top ten contestants down to the top eight. As a result, two talented vocalists were sent packing in what may be the most dramatic elimination of the season. The other member of the bottom three, Team Adam’s Reagan Strange, was unable to compete in the Instant Save performance that night because she was sick. Despite that, the show’s rules state that fans could still vote on her fate, even though she couldn’t sing in an attempt to save herself. Since Strange couldn’t sing, you would think that by default, fans would vote to keep one of the singers who competed in the Instant Save. But much to the shock of many people watching, it was Strange who earned the majority of the votes. The whole situation has become the source of great controversy, but not because of Strange or her inability to perform. Rather, the outrage sparked following some comments made by her coach, Adam Levine. 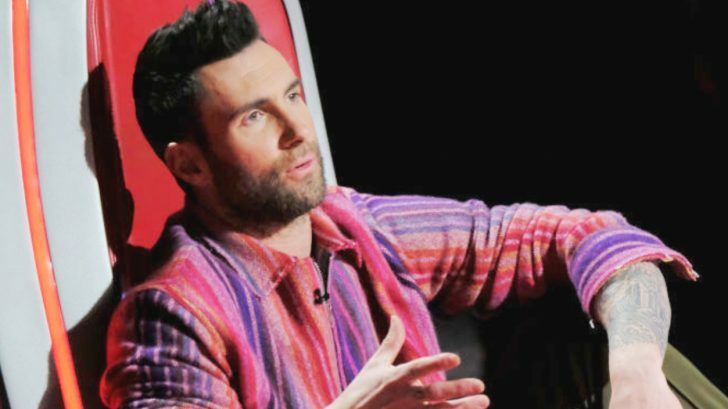 After Fenley (of Team Blake) and Nico (of Team Adam) performed, Levine was given the chance to advocate for his team member. But other than saying that Nico performed “like a champ,” Levine spent most of his time pushing for America to vote for Strange. Levine’s comments angered viewers, with many saying that in advocating so strongly for Strange, he basically threw Nico under the bus. Some viewers were so upset with Levine said that they actually called for him to be removed from the show. Based on his many spectacular performances on The Voice, we have no doubt that big things are in store for Nico’s future. Watch one of his best performances in the clip below. What do y’all think of this whole situation? Do you think it was wrong of Levine to advocate for Strange over Nico? Or do you think he was just standing up for her when she couldn’t do so for herself?